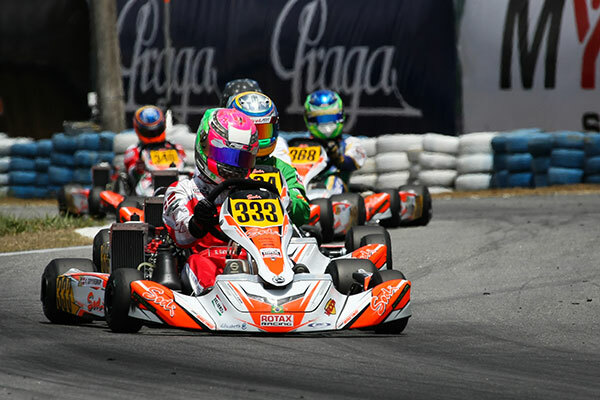 Conde, Brazil, November 30, 2018 – Welcome to the Penultimate day of competition at the Rotax MAX Challenge Grand Finals 2018. The drivers arrived at the Circuit International Paladino this morning excited but also maybe with a feeling of apprehension as to what Pre-Finals day will hold in store for them and their team. Again, the sun was strong and even early morning when the first karts queued for Warm-Up the temperature was creeping into the 30 degrees. Everyone will have given it everything they had in their three heats but today they would be asked for more. How they performed over the last two days will have determined their starting position in either Pre-Final A or Pre-Final B. So today they compete to do their absolute best for one last push to make the Grand Final and get the best starting position possible. The points from the pre-finals will be added to their points from the heats and they will be ranked in order. The first 36 drivers continue to tomorrows Finals, whereas the bottom half will unfortunately finish their journey today and hand their equipment back. It’s pack up and go home time for some. 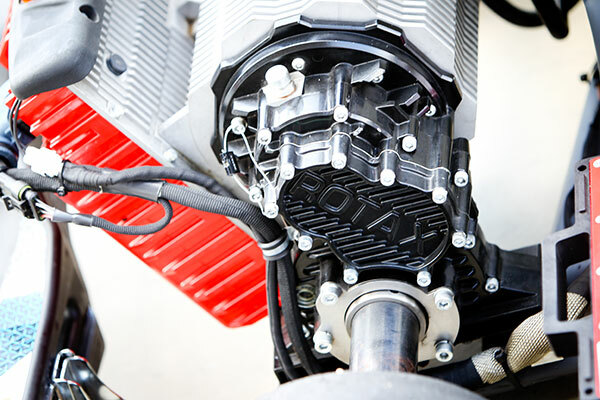 The Pre-Finals promised to be a tale of drivers in one of two positions, those that had good heat results and were confident of making the final but wanted to earn the very best grid spot to help achieve their goal of success in the final. On the other side, there are those that were perhaps on the verge of not making it through to Sunday and wanting desperately to compete in the Finals. One thing was certain, every position would count. The day started with a Warm-Up session for each class and one last chance to try any set-up changes to find that last tenth without the pressure of losing positions in a race situation. 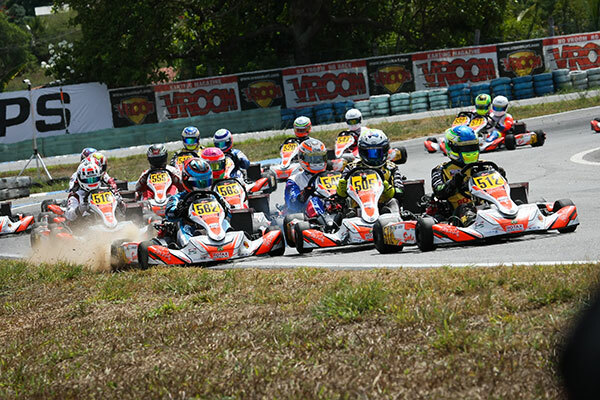 Pre-Final – With 36 entries in the Micro MAX class every driver was assured to make it through to Sundays Final. 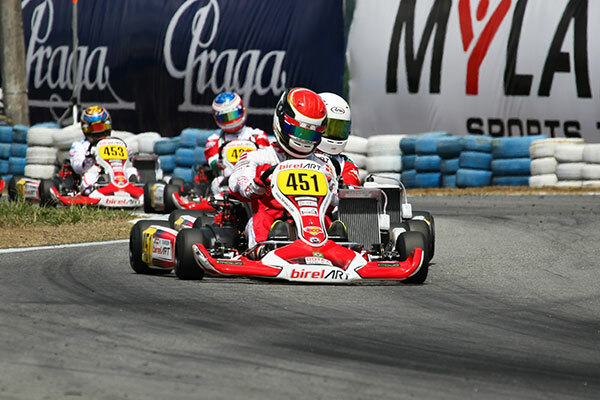 However, the race still showed how determined and competitive these young drivers are. Pole sitter Douwe Dedecker led the other Top 3 starters, Harry Hannam and Maksymilian Obst and pulled them away from the rest of the pack to make it a 3 driver fight for the win. Harry Hannam then made a move on the Belgium driver with 3 corners to go and was unchallenged until the line. Obst, who finished 4th in 2017, was unable to capitalise on this action and crossed the line in 3rd so the Final grid tomorrow will be Harry Hannam on Pole, Dedecker, Obst, Brent Crews for the USA and Mitchell Van Dijk who made his way up from outside the Top 10 to be well within fighting distance for the Final tomorrow. 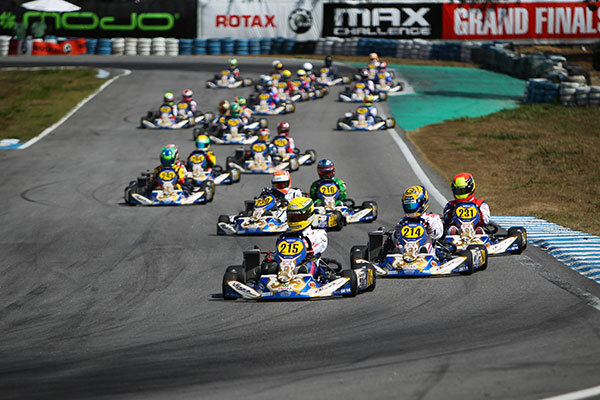 Pre-Final – The Mini MAX field is also made up of 36 drivers so whilst they didn’t have to worry about not making it through the importance of the starting position for tomorrow finals showed. When the race got to the vital half way mark there were two drivers that had managed to break away from the rest of the pack. 12-Year old Evan Giltaire from France led Dani Van Ruiten who had a great first half of the race after starting from 7th position. Van Ruiten did make a pass for the lead into the first part of the last corner but Evan Gilatire made the switch back and managed to win the drag race to the line by only 0.066 seconds. The pack behind had a great battle with any of 6 drivers attempting to make the pass for 3rd at one point or another. It was Farin Megger who managed to secure the spot with the Russian Iakov Sokolov in 4th and Augustin Bernier rounded out the Top 5. Pre-Final A – Australian Jaiden Pope continued to show his performance all week and indeed last year at the Grand Finals was not a one-off by storming away from the field in Pre-Final A. He would have to see how his main competition goes in Pre-Final B later to know if he has secured pole position, but he couldn’t do anymore. 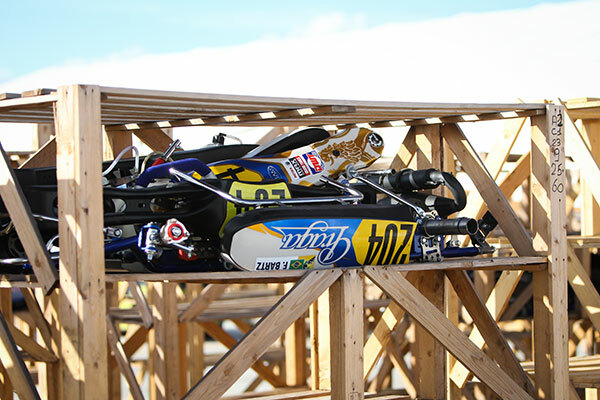 Team Great Britain had a terrible start to the race when Kai Hunter and Samuel Harrison made contact ending Hunter’s race. Pre-Final B – Team Netherlands achieved a Team 1 – 2 in the Junior Pre-Final B with another lights to flag victory by Robert De Hann who won over Mike Van Vugt. However, this was not the order they finished on track as Esteban Masson from France received not one but two time penalties resulting in him gaining a total of 8 secs onto his race time. This dropped him to P9, still one place higher than he started but he will have a harder job in the final now. Lewis Gilbert was promoted to 3rd for Team UK and Kobe Pauwels (BEL) to 4th. If the racing did not show how close the competition is in the Junior category then the Final Grid positions do. Jaiden Pope and Robert De Haan tie on points after the heats and Pre-Finals resulting in the decision going back to the fastest lap-time posted in the Pre-Final. De Haan wins this with a 52.865 over Pope’s 52.933. Pre-Final A – Hannes Morrin couldn’t be blamed if he thought he may get another relatively easy win in his Pre-Final and he did indeed lead every lap before Senna Van Waistijn from the Netherlands came past him with a last corner move. Team Australia had a good showing with Benjamin Jurczak coming 3rd with Great Britain’s Rhys Hunter 4th and Bastien Borget from France 5th. 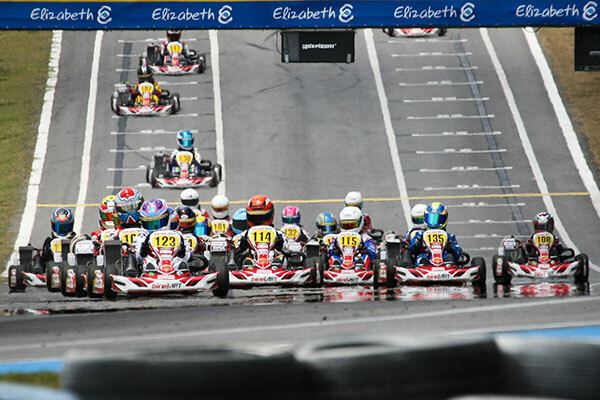 Pre-Final B – The first 7 laps belonged to Petr Bezel as he lead the field around from his pole position. On Lap 8 Sweden’s Jesper Sjoeberg made his move after making his way up from 4th and pulled out a 1.4 second gap to take the win. Bezel finished 2nd with a clear gap ahead of Mario Novak from Austria and the Finnish driver Lauri Leppae. Home talent Joao Cunha did his chances of making the Final tomorrow a massive boost by improving 11 places from his starting position. Pre-Final A – Although he has won the Grand Finals four times previously, Cristiano Morgado could not have thought that his Pre-Final would be easy. However, it looked exactly this when the drivers behind him started to battle from the first lap and let him pull out and manage a 4.124 gap when he crossed the line. Michael Stephen eventually fought his way back up to 2nd after losing this position at the start. He was almost gifted this however as he was sat in 3rd before Finland’s Antti Ollikainen suffered some mechanical issues and dropped down the order to finish 5th. This promoted Lucas Zacante Souza and Slawomir to 3rd and 4th. 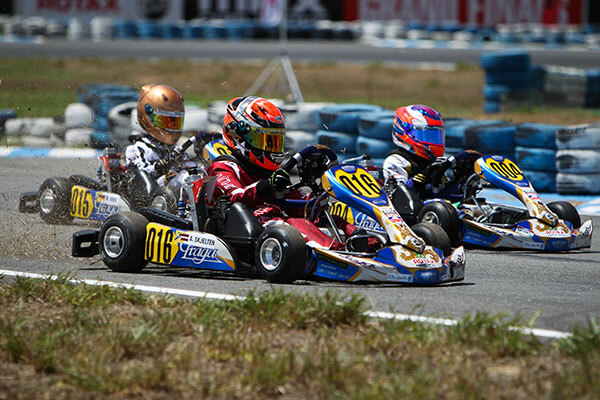 Pre-Final B – The DD2 Masters race again saw a nation come home with a 1-2 due to a drop down nose cone penalty. New Zealand saw Fraser Hart battle all race with the pole man Robert Pesevski with Hart in the lead on the last lap and the Austrian to make contact whilst attempting a move and knocking his nose cone in. Promoted to 2nd was the fastest driver of not only the race but so far this week, Matthew Hamilton, breaking into the 51’s for the first time (51.973). The experience of 13 Grand Finals appearances aided Christophe Adams into 3rd place with local hero Fernando Guzzi in 4th. Pre-Final A – Pole man Xen De Ruwe had a dream start to Pre-Final A and with the two Italian’s Claudio Pagliarani and Cristian Trolese trading places on the first two laps, the driver from Slovenia was able to build the largest lead we had seen in racing all week. He continued to post fast and consistent times and eventually won by over 5 seconds. The rest of the pack switched places almost continuously through the 15 laps but it was Frenchman Paolo Besancenz that grabbed 2nd place ahead of Ryan Wood who continued his run of 3rd place finishes. The Italian Claudio Pagliarani and Jakub Bezel were 4th and 5th. Pre-Final B – Daniel Formal made sure that the DD2 Final tomorrow will certainly be one to watch when he equalled his closest rival, Xen De Ruwe’s performance in his Pre-Final by leading every lap and taking the win. Although, it wasn’t with the same dominance with the lead he had at the end of the race it can be said that the racers behind didn’t make it as easy for him. Taylor Greenfield lost his 2nd place at the start but made his move and gave chase on the leader. Arnold Neveling improved one position form the start as the overall quickest in qualifying on Wednesday, Ryan Kennedy, seems to be struggling with race pace as he dropped to 4th. Qualifying Practice 2 – With a second chance to gain the Pole position for the Pre-Final, all of the drivers apart from the man that set the fastest time in Qualifying Practice 1 yesterday, Lukas Hortsmann, took to the track. Roberto Da Silveira was back at the top with a 55.541 but this was a long way off being fast enough to beat the time already set. The Brazilian mixing it with the experienced German drivers would start 2nd with Lauren Clevert 3rd. Pre-Final – It was in fact Philipp Britz who showed pace in Qualifying Practice 2 that would have a fantastic start to the race and battle his way through the top 5 to make his move for the lead on Lap 5. Roberto Da Silveira came home 2nd ahead of the pole man Lukas Horstmann. One of the other guest drivers from the Americas Series that qualified for this championship earlier on in the week finished 4th in the form of Juan Jose Diaz Rodriguez. After the race the winner received a 5 Second penalty that promoted Da Silveira to Pole for tomorrow’s Final and Britz to 4th. After a tense days racing, drivers will now feel one of two emotions. Excitement and happiness that they have made it through to the Grand Finals tomorrow, or disappointment that they will now be handing back their equipment to the Rotax and the Chassis partners. We thank each and every driver for their commitment and commend them on their performance, whichever of these groups they are in. One thing is certain, tomorrow will be an amazing days racing at the 2018 Rotax MAX Challenge Grand Finals here in Brazil.